Classic Pyramid shape crafted from solid black marble. 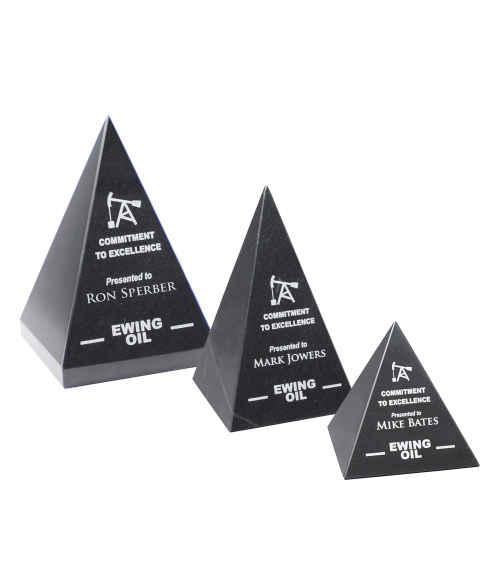 The small Black Pyramid size makes an ideal desk top award or personalized gift. Rich, black marble engraves a bright white color with a laser. Available in three sizes: 3" x 3," 5" x 3," and 6" x 4."